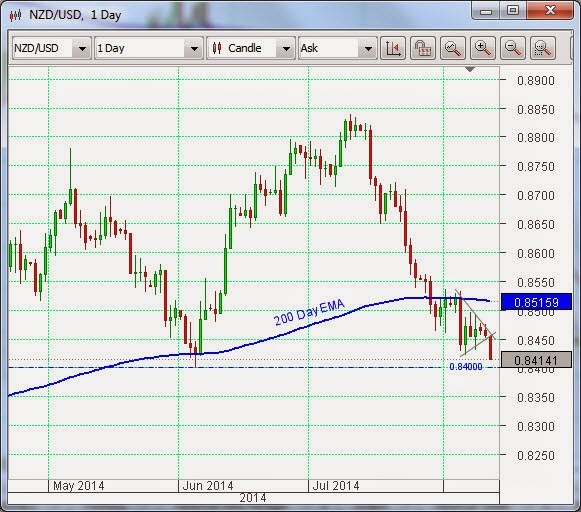 Now price in Kiwi is approaching support at 0.84, and this is also a nice round number. It has already broken through its 200 Day Exponential Moving Average (EMA), which is bearish, but it could be held up here at this support level. 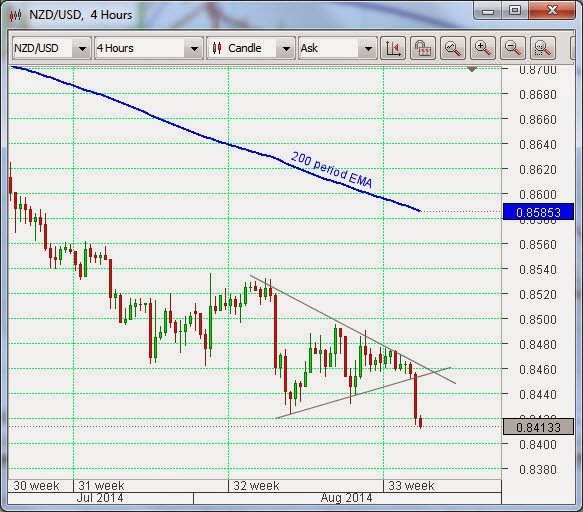 Further comments by the RBNZ would have the effect of sending it on its way down, but a delay at this support level could also be on the cards, as these levels are watched and respected by a great number of market participants.